Hollywood’s biggest stars, including Julia Roberts, Will Ferrell, Jack Black, Jennifer Aniston, Reese Witherspoon, Jodie Foster and more, are coming together to have fun, raise money and change lives in an incredible “fun-raising” special. Featuring great comedy, videos produced by Funny Or Die, incredible music performances and Hollywood’s favorite stars, the benefit event will help 12 charity organizations lift children and young people out of poverty, in the U.S. and throughout the world. Julianne Moore, Jack Black, Coldplay and Neil Patrick Harris will also appear, along with John Krasinski, Emily Blunt, Michelle Rodriguez, Gwyneth Paltrow and music sensations John Legend and “Voice” coaches Adam Levine, Blake Shelton, Christina Aguilera and Pharrell Williams. Sienna Miller, Paul Rudd, Olivia Wilde, Eddie Redmayne, Benedict Cumberbatch, Sir Ian McKellen, Orlando Bloom, Leslie Mann, January Jones and Simon Cowell will also be joining the fun, as well as Matt Lauer, Carson Daly, Nick Offerman, Elizabeth Banks, Chris Pine, Jeff Goldblum, Billy Eichner, Martin Short, Laura Linney, Anna Kendrick, Sean “P. Diddy” Combs, John Michael Higgins, Bill and Melinda Gates, Stephen Merchant, Naomi Campbell, Anna Camp, Jeanne Tripplehorn, Yvette Nicole Brown, Retta, Natalie Morales, Danny Pudi and Rob Huebel. In addition, the star-studded event for charity will feature “Game of Thrones” cast members Kit Harington, Peter Dinklage, Iwan Rheon, Nikolaj Coster-Waldau, Emilia Clarke, Thomas Brodie-Sangster, Mark Addy, John Bradley, Rose Leslie, Alfie Allen and Charlotte Hope. “Orange is the New Black” cast Dascha Polanco, Samira Wiley, Yael Stone, Selenis Leyva, Lea DeLaria, Adrienne C. Moore and Jackie Cruz will also be part of the charity special. 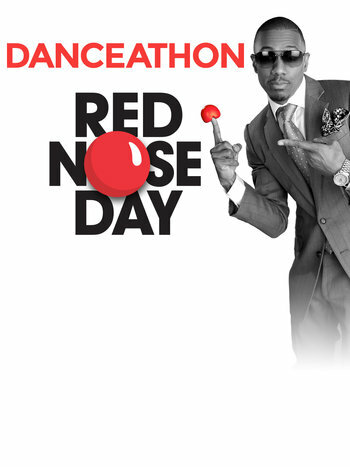 Nick Cannon will kick off the festivities for NBC’s broadcast of “Red Nose Day” with “Red Nose Day Danceathon with Nick Cannon,” streaming live on NBC.com beginning Wednesday, May 20. “America’s Got Talent” host Nick Cannon will attempt to dance non-stop for 24 hours in honor of the inaugural Red Nose Day celebration in the United States, leading into the “Red Nose Day” telecast on Thursday, May 21. Streamed live from the NBC Experience Store at Rockefeller Center in New York City, the day of dance will be filled with guest DJs and musicians, celebrity drop-ins, and a variety of dance acts and troupes. Viewers can support Cannon’s endeavor through sponsorship and donation. In the U.K., Red Nose Day has been a tradition for 30 years and is an inspiring cultural phenomenon that unites people from all walks of life in the interest of saving and changing lives across the globe. 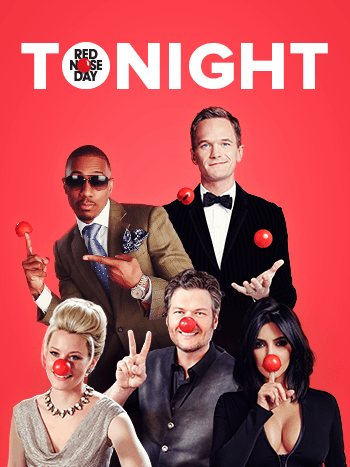 With superstar presenters and comedians, original sketch comedy, hilarious film parodies and amazing musical performances, Red Nose Day has been one of the BBC’s highest-rated Friday night shows for many years and raised more than $1 billion in donations so far for organizations addressing poverty. Created in 1985 by Oscar nominee and Emmy Award-winning writer-director-producer Richard Curtis (“Four Weddings and a Funeral,” “Bridget Jones Diary,” “Notting Hill”), Red Nose Day was built upon the foundation that mass media and celebrities can help raise money and increase awareness of poverty in order to save and change millions of lives. Curtis is an executive producer for the NBC telecast (a Universal Television production), along with Hamish Hamilton and Ian Stewart of Done + Dusted Productions. Henrietta Conrad and Lily Sobhani will also serve as executive producers, as will Mike Farah, Anna Wenger and Joe Farrell from Funny Or Die. Hamilton is set to direct. This entry was posted in Events, Television and tagged Adam Levine, Adrienne C. Moore, Alfie Allen, Anna Camp, Anna Kendrick, benedict cumberbatch, Bill and Melinda Gates, Billy Eichner, Blake Shelton, Boys & Girls Clubs of America; charity: water; Children’s Health Fund; Feeding America; Gavi, Carson Daly, charity, Charlotte Hope, childhood poverty, Chris Pine, Christina Aguilera, Coldplay, Danceathon, Danny Pudi and Rob Huebel., Dascha Polanco, Donate, Eddie Redmayne, Elizabeth Banks, Emilia Clarke, emily blunt, Game of Thrones, Gwyneth Paltrow, Iwan Rheon, Jack Black, Jackie cruz, January Jones, Jeanne Tripplehorn, jeff goldblum, John Bradley, John Krasinski, John Legend, John Michael Higgins, Julianne Moore, Kit Harington, laura linney, Lea DeLaria, Leslie Mann, Mark Addy, martin short, Matt Lauer, michelle rodriguez, Naomi Campbell, Natalie Morales, nbc, Neil Patrick Harris, Nick Cannon, Nick Offerman, Nikolaj Coster-Waldau, Olivia Wilde, orange is the new black, orlando bloom, paul rudd, Peter Dinklage, Pharrell Williams. Sienna Miller, Retta, Richard Curtis, Rose Leslie, Samira Wiley, Sean “P. Diddy” Combs, Selenis Leyva, Simon Cowell, Sir Ian McKellen, star studded, Stephen Merchant, The Vaccine Alliance; the Global Fund; LIFT; National Council of La Raza; National Urban League; Oxfam America; Save the Children and United Way., Thomas Brodie-Sangster, Yael Stone, Yvette Nicole Brown by Liz Whittemore. Bookmark the permalink.